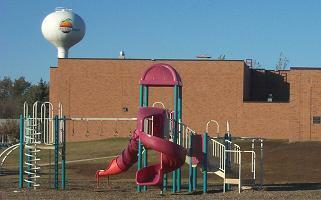 Parkers Prairie School District #547 serves 600+ pre-school through twelfth grade students. A full curriculum is offered along with many extracurricular activities staffed by well qualified and caring individuals. Two very fine facilities serve as the elementary and high school buildings. New playground equipment, an ice skating rink and three tennis courts along with a running track are available. Two area technical colleges are within twenty five miles of Parkers Prairie and both offer day and flex-time programs. 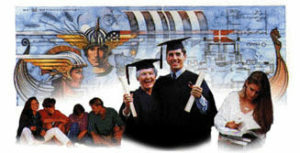 Community Education programs for all ages are offered throughout the year. Evening courses in Adult Education are offered on a one to one basis. A comprehensive and informative resource is available that ranks each university in America by size, degrees offered, tuition costs, admission rates, graduation rates, and retention rates. A branch of Productive Alternatives, Inc., a day program for developmentally disabled adults is located in Parkers Prairie. Productive Alternatives is a non-profit day program (DAC) for adults with developmental disabilities. It is licensed under the State of Minnesota. The program is designed to provide employment related services, community integration and programming for those 18 years of age or older who have higher needs and also provides more intense, long term assistance for those requiring social, sensory and therapeutic options. PAI is located on the edge of the city in a beautiful park like setting with an updated facility. Transportation for those that are served is provided to by Productive Alternatives. For more information you may contact: Judy Hemmerlin, DAC Manager at 218-338-2691.